These modules were designed to not only provide a reminder of the new rules, but also to cover our new automated processes and to ensure staff received practical guidance to equip them to handle different scenarios in their day-to-day roles. This is one of many training sessions that Shire Leasing already deliver to staff and will be held on a bi-annual term. It is a key feature of our training that workshops are bespoke and made relevant to each department, so that staff can receive more tailored training. In addition, by including hypothetical scenarios and encouraging interaction through feedback, it helped the workshops to be more engaging and build confidence. 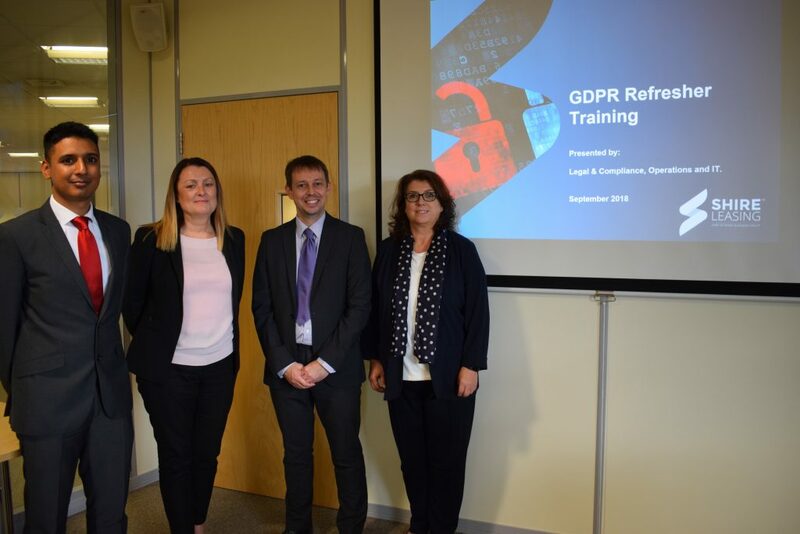 In addition to training, all staff were issued with a ‘GDPR Employee Guide’ that we have written; a helpful quick reference guide to keep staff informed of key areas in their day-to-day roles and which should help staff to pass Shire’s mandatory legal and compliance tests.